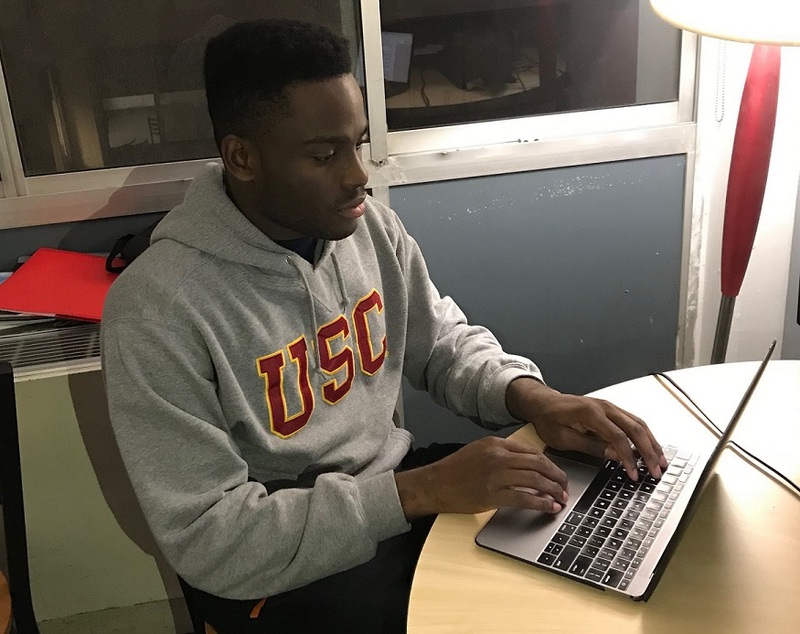 Taofeeq Rasaki enrolled at the University of Southern California this fall to study mechanical engineering. With a passion for aviation guiding his goals, he is already involved in several engineering clubs on campus and starting to conduct research. We checked in with Taofeeq to see how his first year is going and to ask what being a Pullman Scholar means to him. What drew you to your college? USC was the school I saw represented in one of my favorite movies—Love and Basketball, it was the school George Lucas went to before he created Star Wars, and it was the school with an icon as their new interim president in the field I hope to be in one day, Dr. Wanda M Austin! All these things drew me to USC as the only place I could see myself studying for the next four years. I am passionate about airplanes. My dreams include designing and innovating in the airline industry. To prep myself for the future I’ve joined clubs like the National Society of Black Engineers and started doing research in Fluid Mechanics with a professor I found on campus. In my free-time I bike throughout LA with my friends and see the sights of the new place I call home. My first semester was hectic in the sense that it seemed like I always had something I could do. Not just academically, but socially and professionally, there wasn’t a lot of free time. For someone with a lot of energy it felt so different from high school, where I spent a lot of time waiting for what would happen next. Now it seems like I use my full energy arsenal and have so much fun the whole time. I enjoy being a Pullman Scholar because the organization has everything I need to make me feel like I’m on a track to being successful. With the mentorship and support from an entire organization that is still constantly expanding what else could someone ask for. Being a Pullman Scholar means being a part of the exceptional with the potential to become a success story across any field anywhere in the country.